My Christmas wish list is pretty short this year….basically I’m getting a new house (and all that comes along with it)…..so what else could I really ask for? My husband laughed at me when I asked for a robot vacuum. And then he really laughed when I asked for a live-in maid. Because #priorities. And I want a new purse but I know my husband will think it isn’t “fun” enough. He obviously doesn’t understand just how fun a new bag can be when you are a mom and you need to carry a HUGE BAG with all your junk in it at all times. Also, give me all the cozy slippers and pajamas. And diamonds. If any of these pretties showed up under the tree for me, I certainly won’t complain. I don’t really think there is a gift as romantic as jewelry. I was pleasantly surprised with the beautiful diamond jewelry I found at Zales! 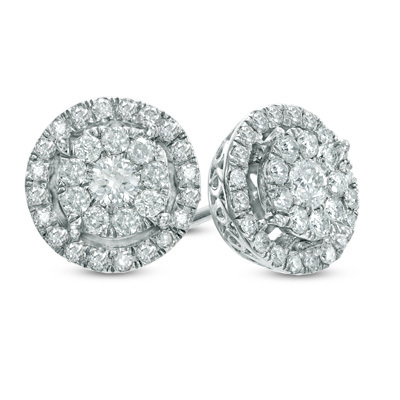 At the top of my list is these diamond double frame studs. I’ve always wanted diamond earrings, and LOVE the look of these. They could be dressed up or worn every day….just what this mama needs! 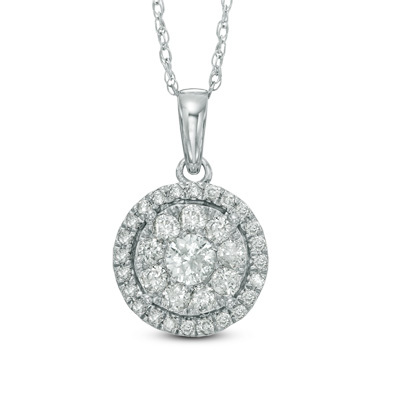 This diamond double frame pendant that goes with the earrings is also calling my name. It has just the right amount of sparkle and would go with everything. 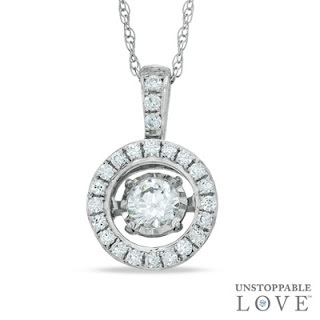 I also really like this Unstoppable Love diamond frame pendant. So so so pretty. What’s on your Christmas wish list? Are you getting any diamonds this year? Visit Zales on Facebook, twitter, Pinterest, or Instagram. *Compensation was provided by Zales via MomTrends. The opinions expressed herein are those of the author and are not indicative of the opinions of Zales or Momtrends. YES! Love all your wish list items. I shared a gift idea post too. What lady wouldn't want a lil more sparkle in their life? You should add this to the Christmas countdown linkup! I too want the robot vacuum. Diamonds under the tree are always welcome! Im still searching for a new purse after mine was stolen back in May, so infuriating. Those slippers look so cozy! Roomba is my best friend!!! You will not regret getting one.